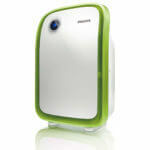 The Philips AC3821 Air Purifier and Humidifier has clean looks. The body shape is a conventional one. The air purifier is quite heavy at 13.9 KG. To facilitate movement, there’s a trolley to move it around easily. Buttons are touch sensitive. Air Purifier is plastic body. 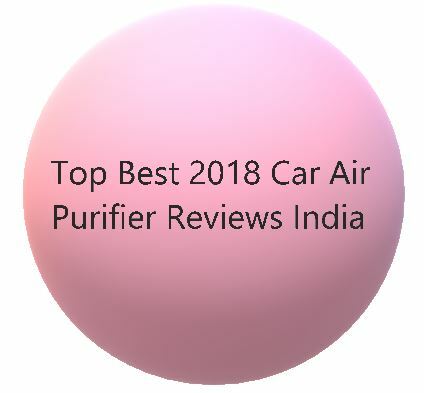 CADR which is indicative of the air purification capacity of an air purifier. The higher the CADR, the better. Philips AC3821 has a CADR of 310. 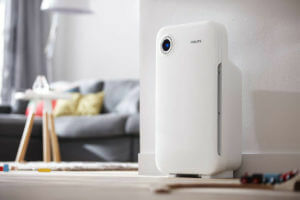 The Philips AC3821 Air Purifier and Humidifier has a large coverage area. It can cater to room sizes or spaces as big as 861 sq.ft. The hygienic humidification mechanism and Aera Sense Technology makes the Philips AC3821 Air Purifier what it is. For starters, we have a suggestion- You must be using a steam-console when you catch cough and cold right? Try once to use it for a different purpose. Use it in a closed room and keep it running and spewing steam for 1 hour. You’ll feel a marked decrease in pollution levels and haziness in the room. A humidifier is a much more intelligent version of the steam console. It helps maintain the optimum humidity levels as it senses it and alters its evaporation rate accordingly. The ideal relative humidity level is between 50-70%. Anything more or less than this range is problematic. Greater humidity may result in growth of fungi or molds and foul damp smells. Unusually dry air may cause irritation in the respiratory tract or other skin related issues. 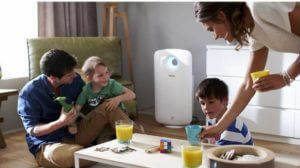 The Philips AC3821 Air Purifier and Humidifier has three modes to choose from viz General, Allergen and Sleep modes. The General mode can be used for normal air filtration. The Allergen Mode is extra sensitive and activates the Indoor Air Allergen Index or IAAI. The Sleep Mode as suggested by the name makes the air purifier to operate on lowest fan speeds for silent operation. The display lights are dimmed in Sleep mode. You can choose a particular mode which meets your specific needs at that moment. 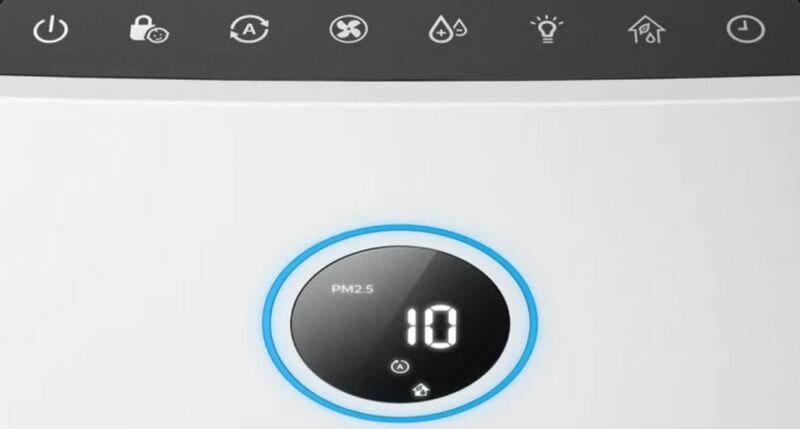 The real-time PM2.5 display has become a norm in newer air purifier models like MI Air Purifier 2S or Honeywell Air Touch i8. A PM2.5 display gives a real-time reading of ambient pollution levels. It helps you decide how much time to run the air purifier in full speed mode to quickly remove the pollutants. 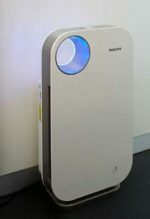 The Philips AC3821 Air Purifier has a professional-grade sensor and makes use of the AeraSense technology. The accuracy of the sensor is very important for efficient functioning. Its the sensor which makes the air purifier to instantly respond to even the slightest delta in the air quality. 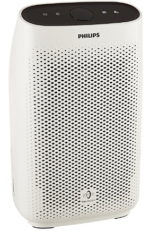 This air purifier features the AeraSense Technology which detects and displays the risk level of air allergens in your room on a scale from 1 to 12. This can effectively warn you of potential allergens which could risk the health of your loved ones. 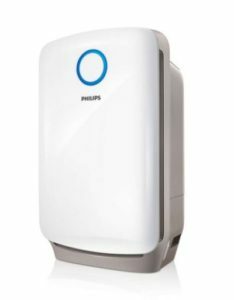 The Philips AC3821 Air Purifier and Humidifier has high grade HEPA filter. The outermost layer is the pre-filter. It traps larger particles and reduces stress on inner filters. It removes dust and hair. Innovative technology stabilizes and absorbs Formaldehyde, TVOCs and Toluene. Microfiber layer filter removes particles as small as 0.02 μm. 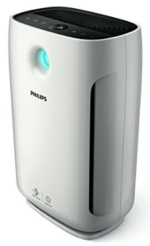 The Philips AC3821 Air Purifier and Humidifier is a costly appliance for sure. 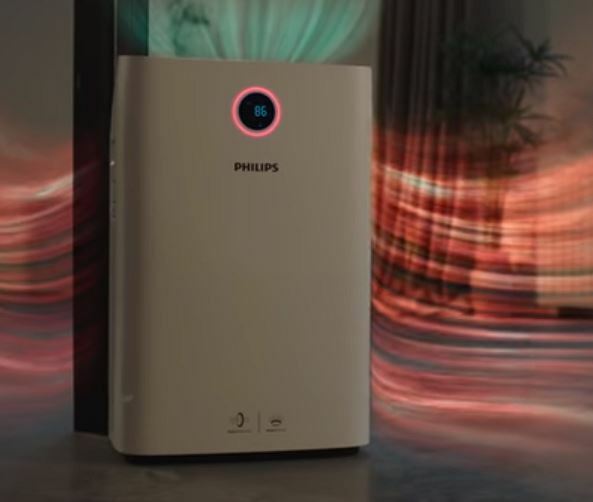 But, not this does not mean its a waste of your money.It has a large coverage area, the build quality, trust of Philips and good feature set make it a good buy.